Wash the kale then dry completely. Cut the thick rib out of the kale then roughly cut the kale into 1" - 1.5" pieces. 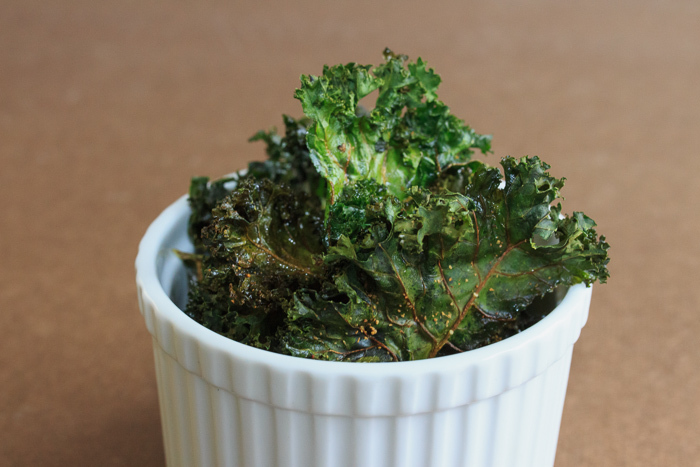 Lay the kale pieces in one layer on a baking sheet lined with parchment paper. Lightly spray with olive oil or cooking spray then toss to evenly coat. Do not oversaturate the kale pieces or they won't get crispy.